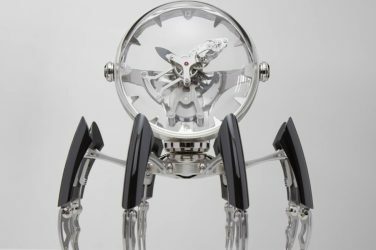 Every year, in the midst of the Swiss winter, the best and the biggest of the watch industry get together in Geneva for the Annual Exhibition of Haute Horlogerie (SIHH). In this, its 28th edition, SIHH welcomed six new exhibitors: Hermès and the Carré des Horlogers, Armin Strom, Chronometry Ferdinand Berthoud, DeWitt, elegant by FP Journe and Romain Gauthier, bringing the number of exhibitors to 35, including 18 historic houses and 17 marks of the Carré des Horlogers. 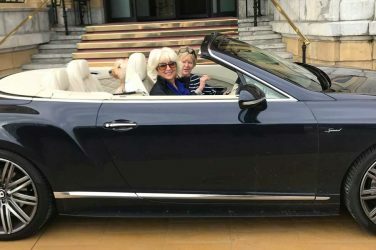 In recent years, the watch industry suffered a world wide collapse in sales, sending alarm waves throughout both, the titans in the market and independent brands alike. 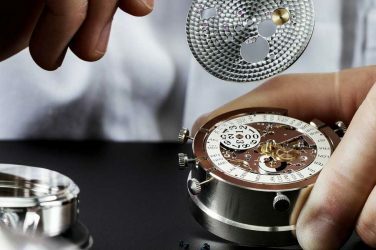 From family owned Parmigiani to giant Richemont, everybody was wondering how to recover from the hit that sales were taking from different factors: slow global economy, rising inflation in Europe, and a sharp decrease in sales to the Chinese and the Russians. 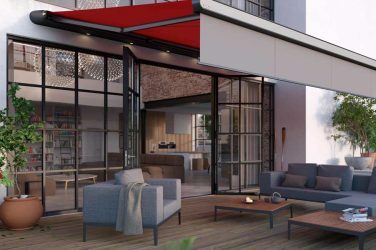 However the Federation of the Swiss Watch Industry reported a growth in exports in the period January-November 2017 of nearly 3% and for 2018 it is expected to reach 5%. The Laureato 38 mm White Ceramic: the purest and most iconic watch by Girard-Perregaux with a twist. 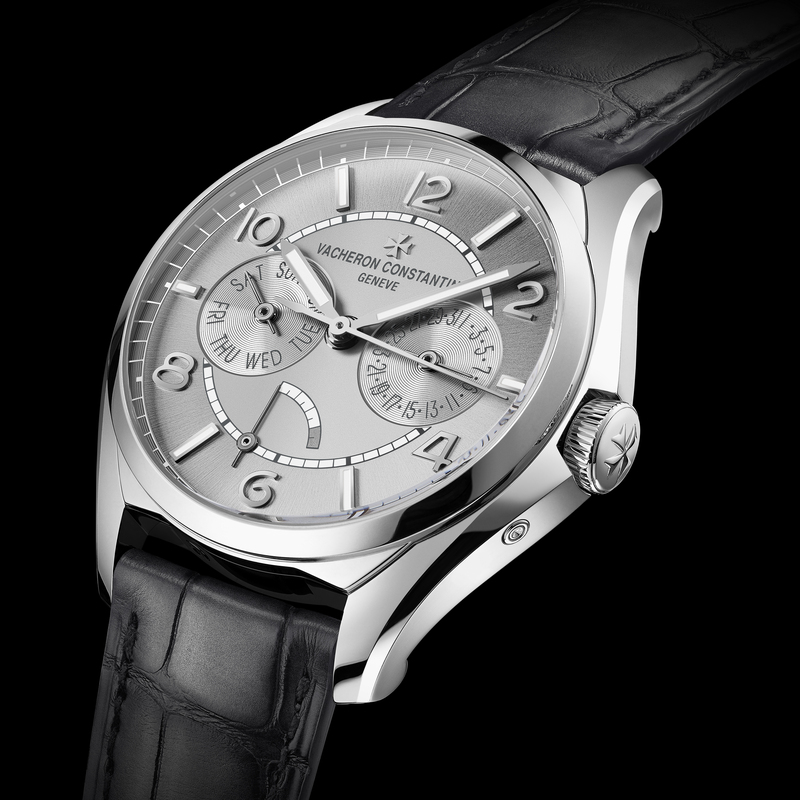 The New FiftySix dial-a-date watch by Vacheron Constantin. 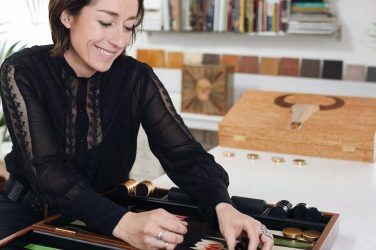 The collections combine the finest artistic crafts with the most sophisticated horological techniques. 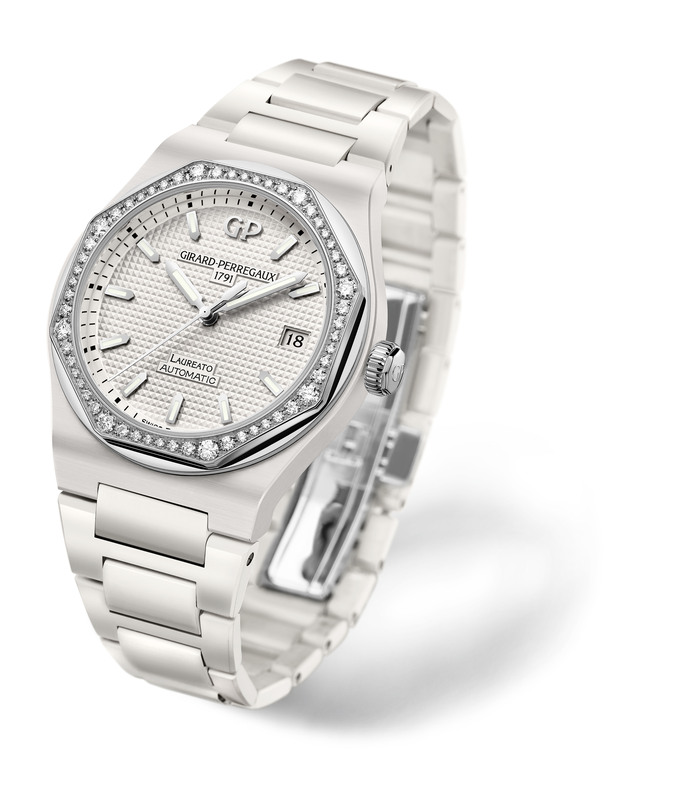 Kalparisma Nova Galaxy: Launched in 2008, the Kalparisma was Parmigiani’s first mechanical collection for women. 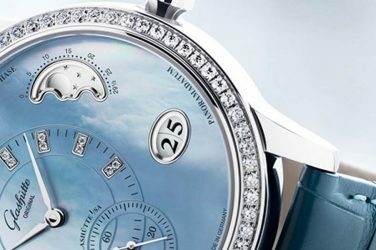 In this, its 10th anniversary, the brand is celebrating with the Nova Galaxy, a very feminine watch with all the unusual attributes Parmigiani has accustomed us to. Firstly, the use of Aventurini glass in its dial (a glass discovered in Murano by accident in the 19th century), baptised “Galaxy” as a reminder of the sparkling constellations evoked by the material. Likewise, the Nova Galaxy represents a star-scattered sky. The delta-shaped hands are skeletonised to better reveal the celestial display. The “Nova” star represents its small seconds at 6 o’clock, inspired by a pocket watch from the Sandoz collection that Michel Parmigiani restored in his workshop decades ago, on which reverse, a number of stars began to turn whenever the minute repeater was activated. 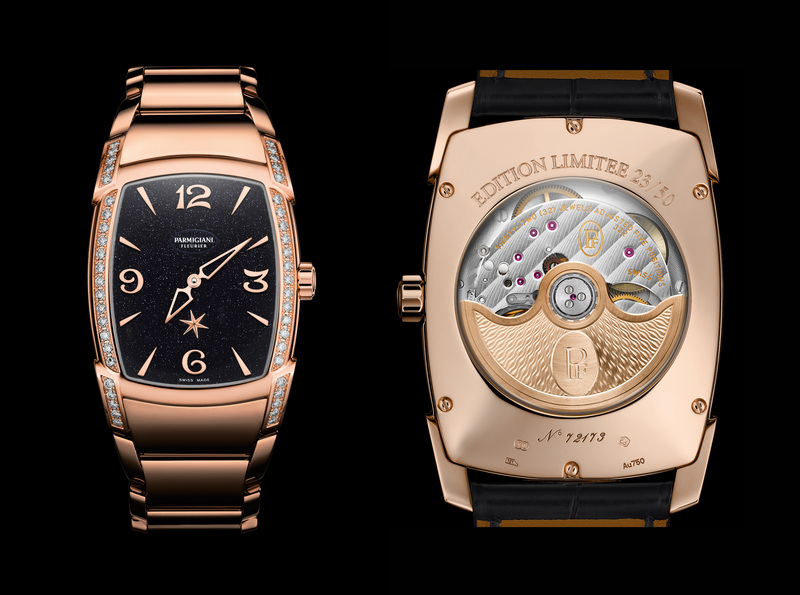 There are two models of this watch, differentiated by the case material and the stone-setting that adorns them. This one, in rose gold, matches the indices and Nova star. The sides of the case are set with 46 Top Wesselton diamonds for a total of ~0.84 carats. 50 pieces limited edition. 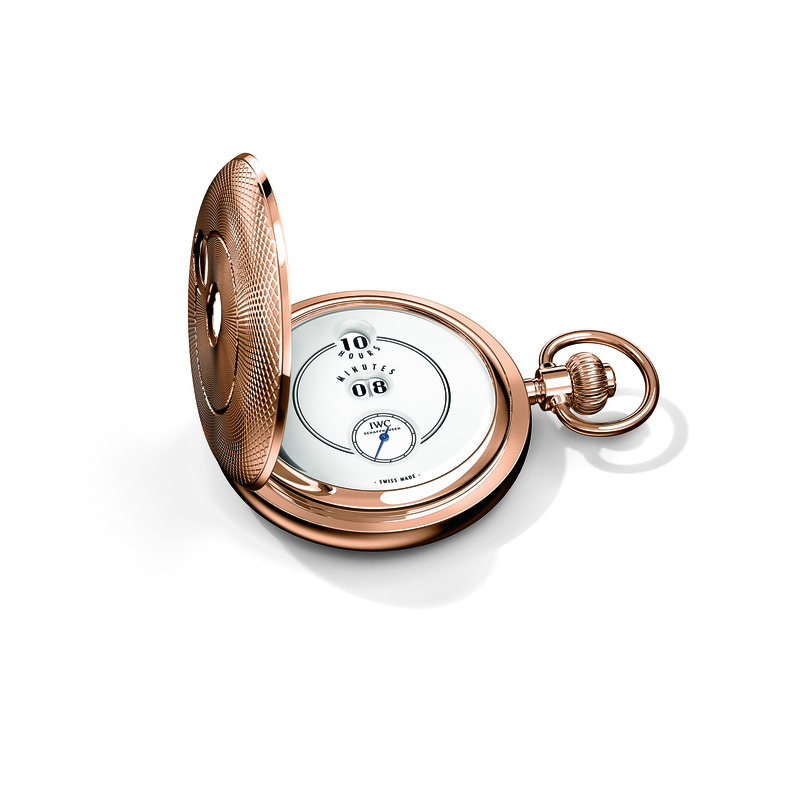 IWC Tribute Pallweber pocket watch “150 years”: This pocket watch with jumping numerals is part of the Jubilee collection, in celebration of the company’s 150th anniversary. Limited to 50 pieces, this is the first pocket watch from IWC with a digital hours and minutes display since the production of the historical Pallweber pocket watch which launched in 1884 and was discontinued in 1890. It shows the hours and minutes in digital format with large numerals on rotating discs and is housed in an 18-carat red gold case, decorated with elaborate guilloché work and worn on an 18-carat red gold chain. The pocket watch features a white dial with a lacquered finish and white display discs. Two windows in the spring cover reveal the hours and minutes, so the time can be read even when it is closed. The case also features a closed dust cover on the backside. The IWC-manufactured 94200 calibre advances the display discs by using a separate wheel train with a barrel of its own. The fact that the flow of power in the main wheel train operates independently guarantees precision and a 60-hour power reserve. The Tribute Pallweber pocket watch. The New Hermès Cape Cod: First born in 1991 from Henri d’Origny’s out-of-the-box mindset. He had been asked to imagine a square watch, but he preferred rectangular ones. Cutting the iconic “Anchor Chain” motif in two he actually managed to combine both shapes. 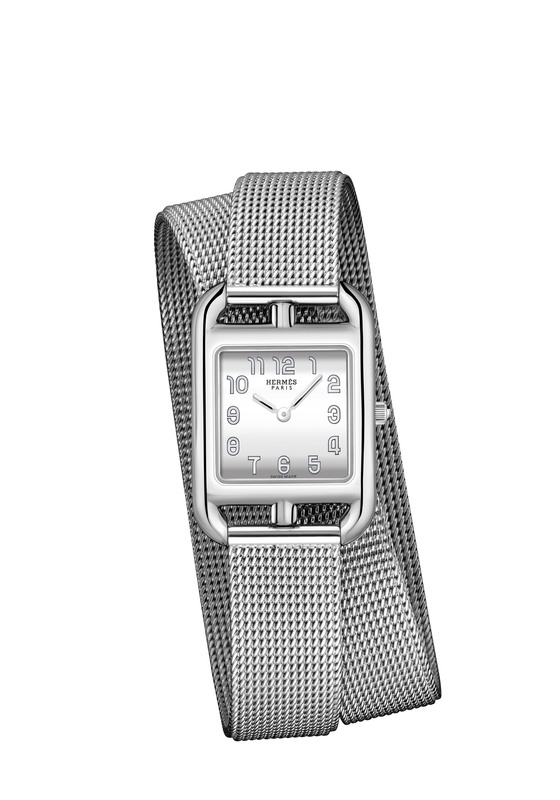 A square embedded in a rectangle, the Cape Cod watch is magnified by its double tour strap that gives the watch an additional touch of originality and boldness.